It’s a weird day in this video. Probably the weirdest day of my life up to this point. Today we are going to talk about the Romanov Dynasty where the occult groups started by taking over and starting to build their secret machines. 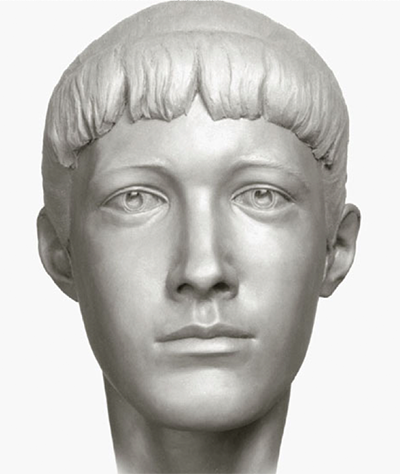 In the Wikipedia we found a 3d facial reconstruction of Anastasia Romanov and found that she has my face. Grigori Yefimovich Rasputin was a Russian mystic and self-proclaimed holy man who befriended the family of Tsar Nicholas II, the last monarch of Russia, and gained considerable influence in late imperial Russia. The Russian Imperial Romanov family (Tsar Nicholas II, his wife Tsarina Alexandra and their five children Olga, Tatiana, Maria, Anastasia, and Alexei) were shot, bayoneted and clubbed to death in Yekaterinburg on the night of 16-17 July 1918. The Tsar and his family were killed by several Bolshevik troops including Peter Ermakov, and led by Yakov Yurovsky under the orders of the Ural Regional Soviet and according to instructions by Lenin. Kennedy and I were doing research and the patterns keep going back to the Romanov family and they had a 3d Facial Reconstruction. After analysis it appears that the facial reconstruction has my face. We have the same mouth, same nose, and the big difference is the elongated. Why do I have the same face as the Romanov’s? I have been lining my face up to my supposed family and it has never lined up, but I line it with the Romanov’s. This explains the whole kidnapping story my son told me. You should really get people to do the comparisons as these. I don’t have the same face as anyone I know, but I have the same face as these people. How does this related to Hal Atkin, Jane Willhite, Tom Willhite and PSI Seminars? Well find out in the next entry. This most certainly has led the research down toward multiple connections and a much clearer picture of the kidnapping story.